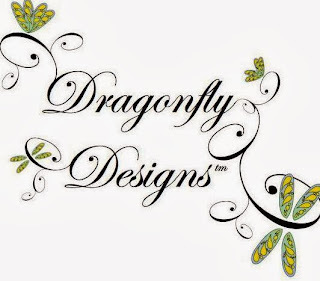 I have always loved the work of designer Charles Faudree who died last year. 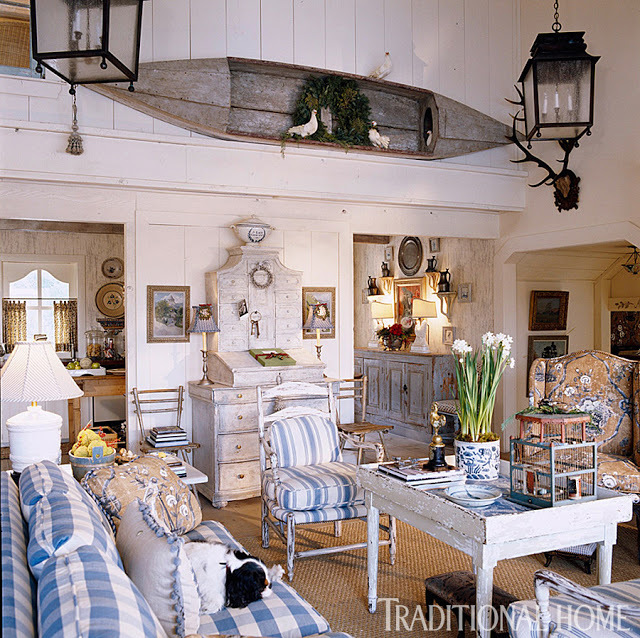 Faudree was a Tulsa based designer who specialized in Country French interiors. 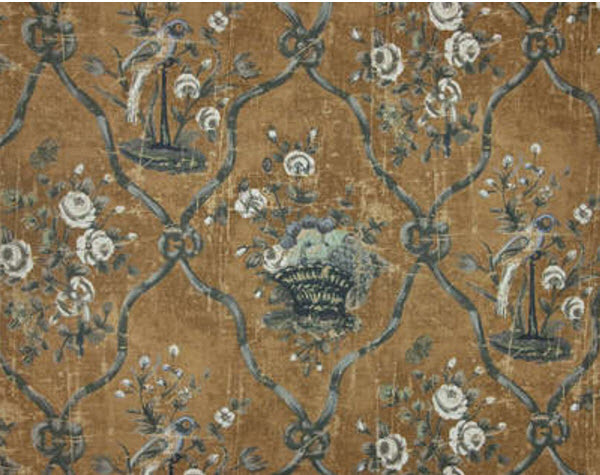 A prolific interior designer, author, showroom owner and fabric, furniture and wallpaper designer, Faudree's style had a profound influence on decades of American style. Of particular interest to us is that Faudree loved the mountains, particularly Cashiers South Carolina, where he owned a series of cabins and worked on other local projects. 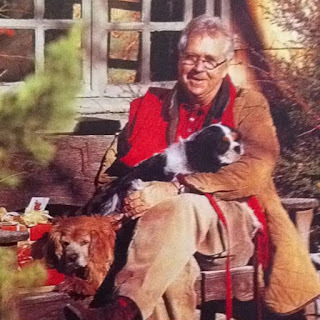 Faudree in the mountains with his beloved King Charles Spaniels. 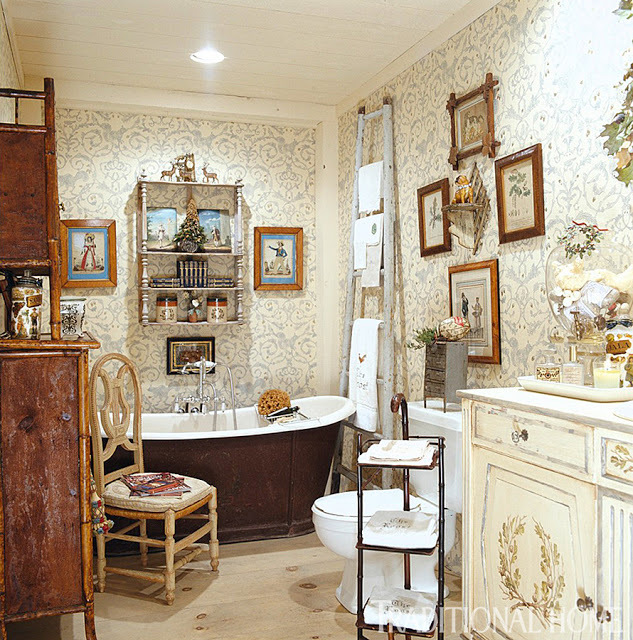 I always love to show Faudree's work because he managed to mix together pretty and sophisticated with loads of fabulous antiques. 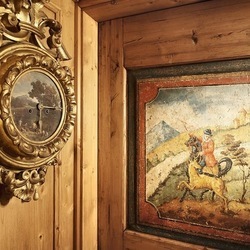 This time of year, however, I thought it might be interesting to take a look at some of the photos that show his mountain rooms decorated for the holidays. 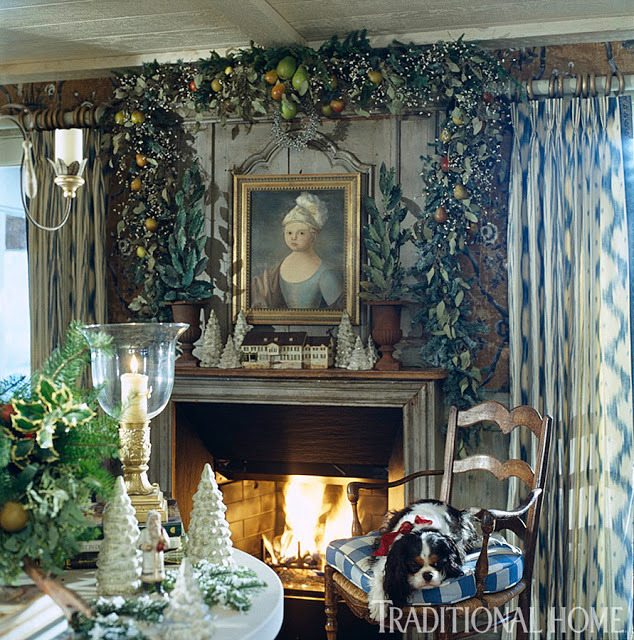 A mantle beautifully decorated with greenery, pine cones, white roses and Christmas stockings. 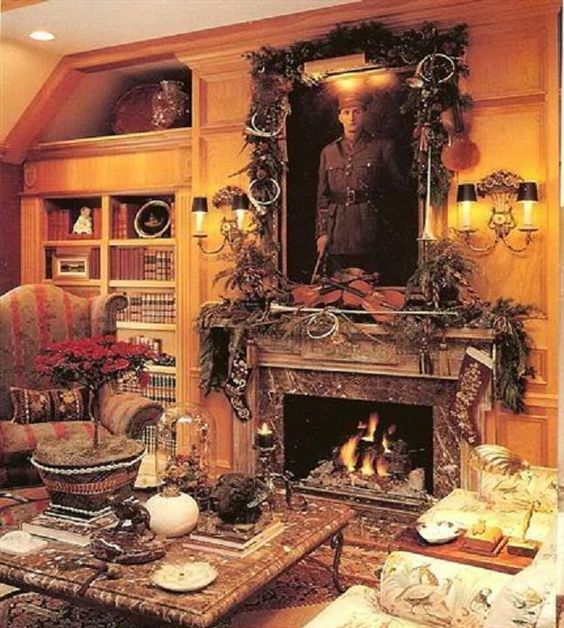 Yet another perfect mantle in a home Faudree decorated for his sister. 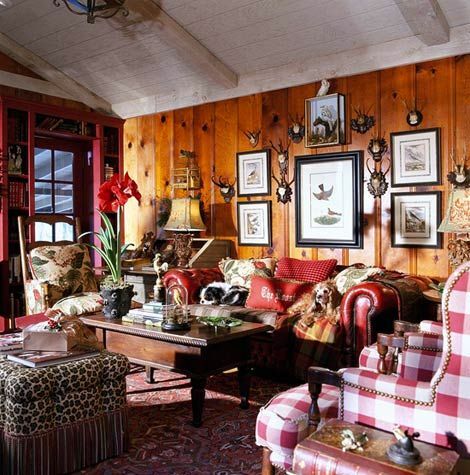 When you start with a red room, Christmas decorating is easy. 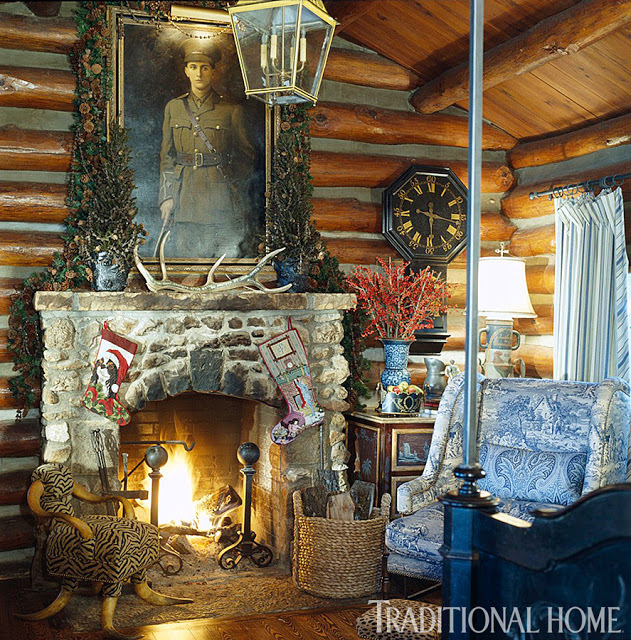 One red amaryllis adds a touch of Christmas to this charming cabin living room. 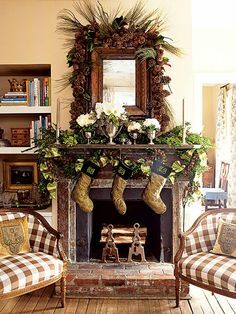 Another Christmas mantle. 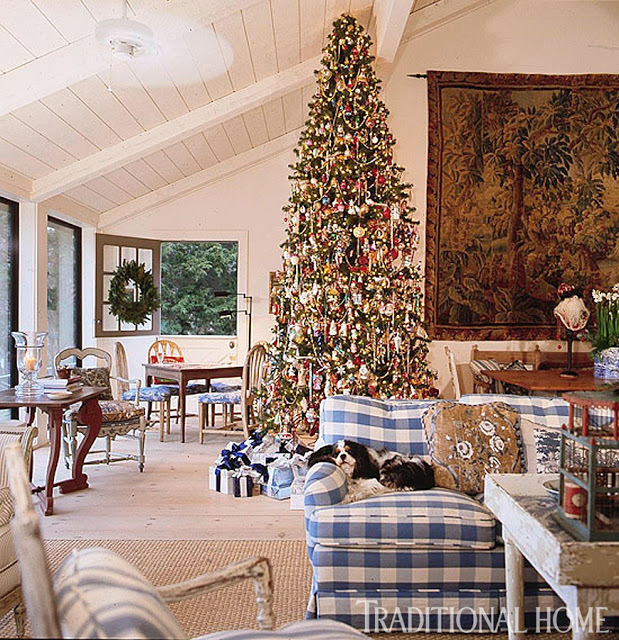 This one with beautiful boughs, glass balls and tassels. Narcissus bulbs in elegant planters complete the look. 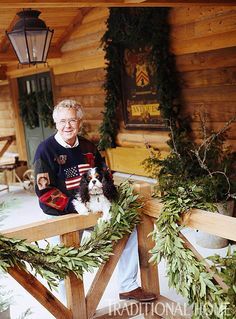 Faudree on the deck, again with his favorite Spaniel. 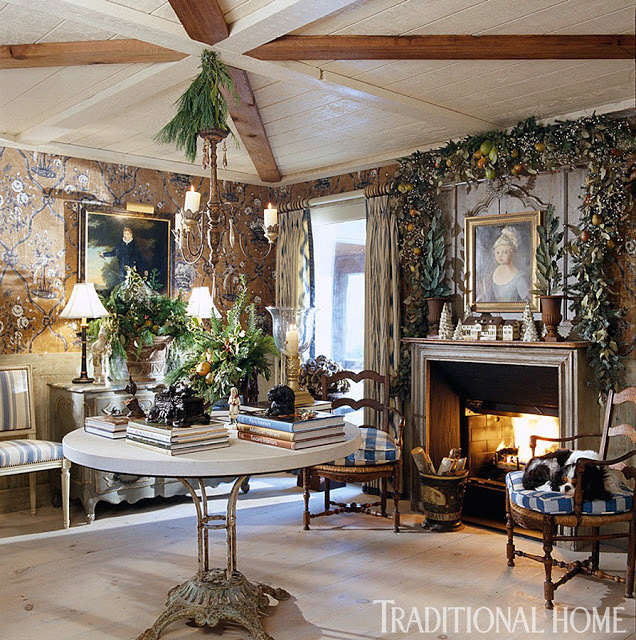 Lot's of simple garlands and wreaths. 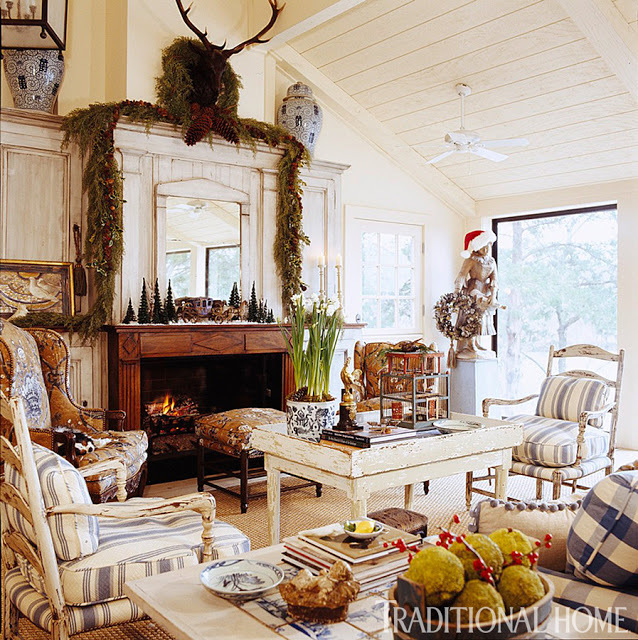 I adore the little Christmas sleigh and pine tree collection on the mantle. Don't you love the way Faudree adds a Santa hat and wreath to the statue in the corner. 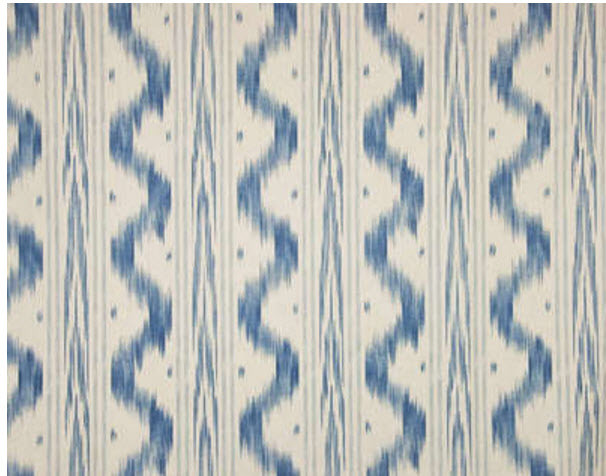 Sea grass matting, white painted walls, a mix of French furniture and blue and white fabrics create a fresh and pretty cabin look. 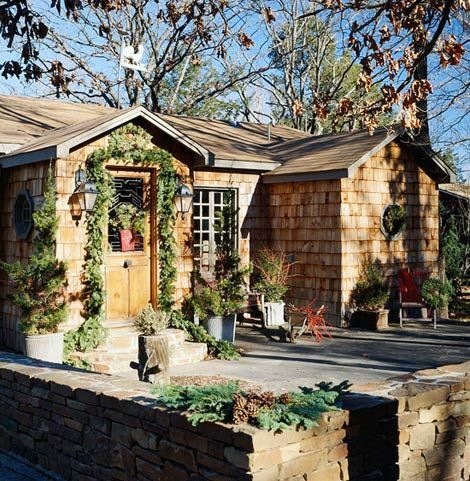 This is a very pretty style for cabins, especially for summer use. I've been in a handful of Tahoe lakefronts that look like this and they always make me feel so happy. 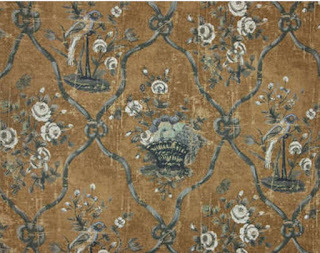 Another view of the same room shows Faudree's large Christmas tree next to a beautiful old tapestry. 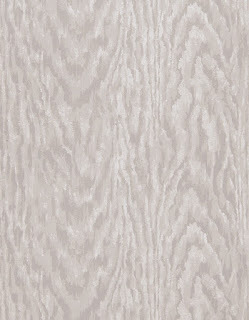 And here is the same room from yet another angle, below. 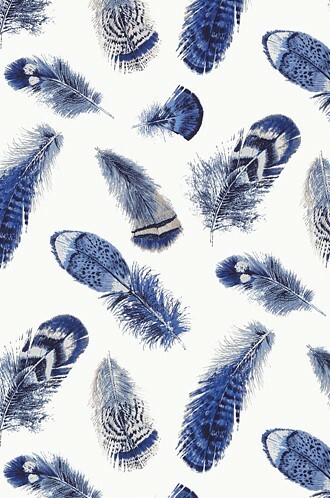 Every where you look there is something captivating. 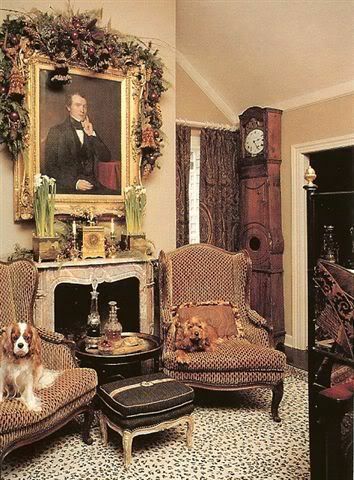 In the foyer, another mantle to decorate with more garlands and pretty glass trees and antique houses. 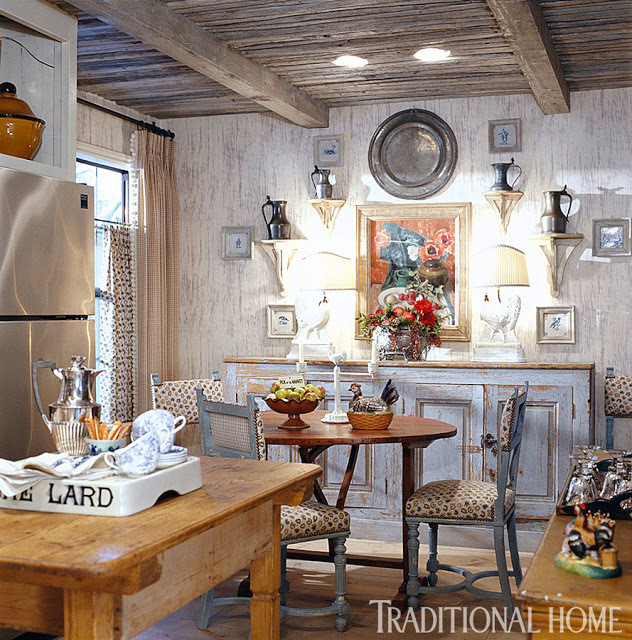 Pretty soft painted cabinets in cream and grey mix with a beautifully greyed old barnwood ceiling. 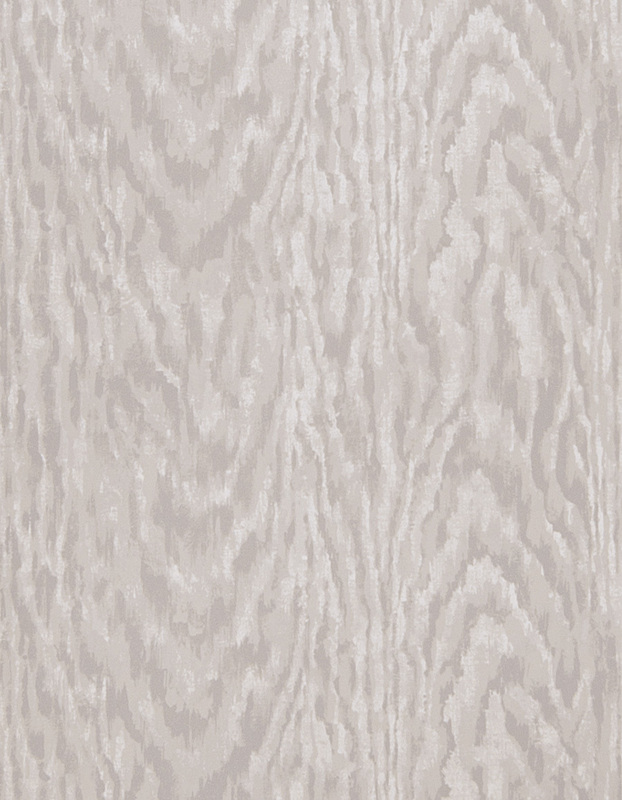 On the walls is Faudree's own Faux Bois Wallpaper in Grey. 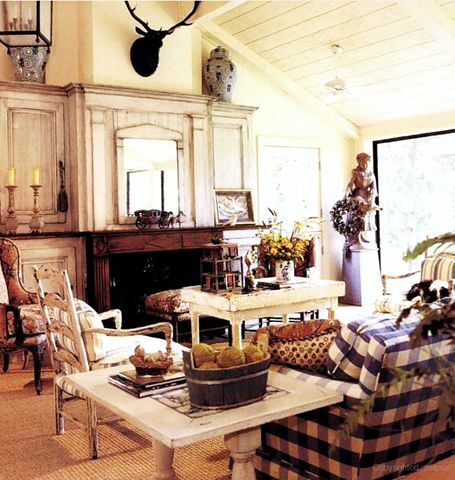 This room manages to be masculine and pretty all at once. 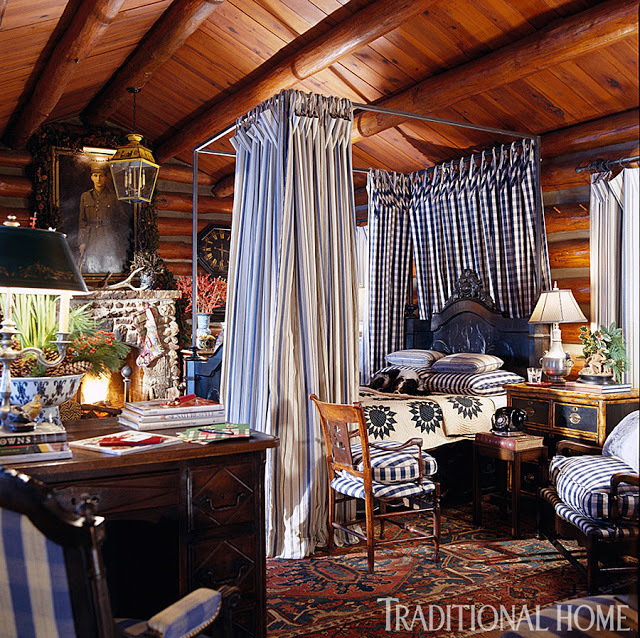 Oddly,tThe traditional log walls work beautifully with Faudree's signature French furnishings. Yet another mantle to decorate! 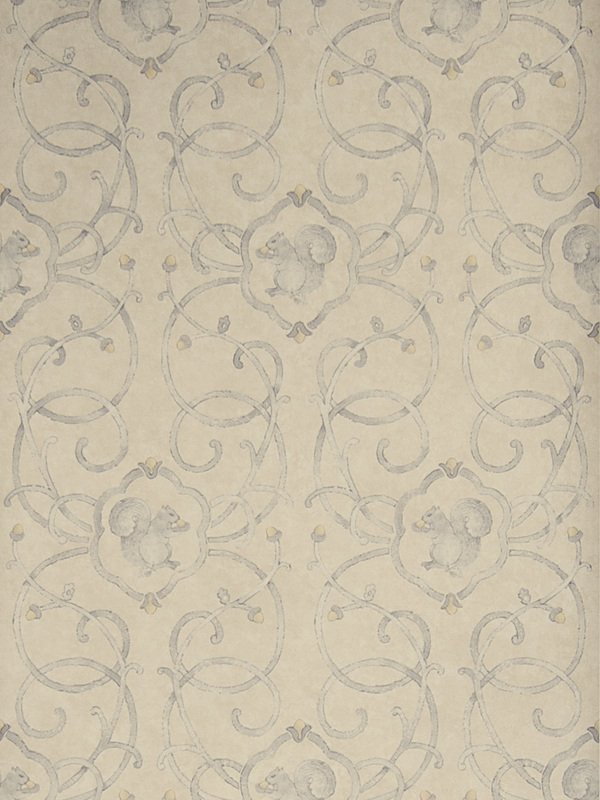 On the bathroom walls, another Faudree design, Cashiers wallpaper in blue. 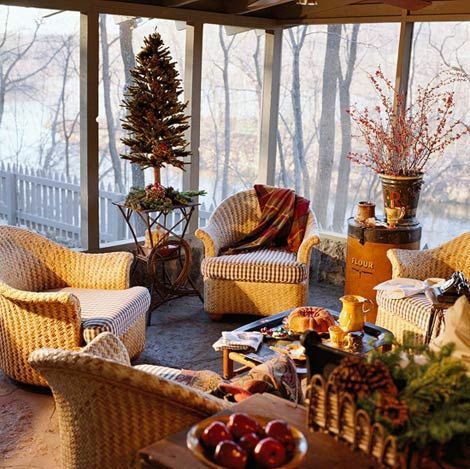 A small tree, a basket of greens, a wooden bowl with apples and a bucket of bittersweet all say Christmas in Faudree's screened-in porch. 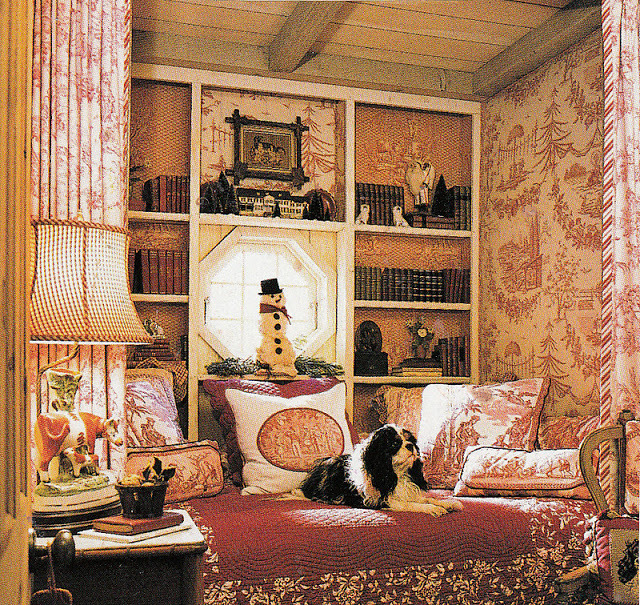 Perhaps the very best room of all is this sleeping alcove. 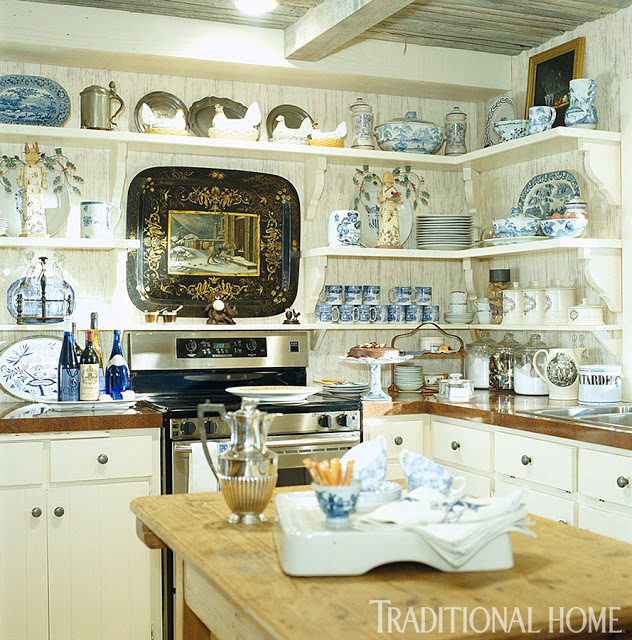 Don't you just love the mix of wallpapers on the back wall book shelves. Another exterior view of the house. 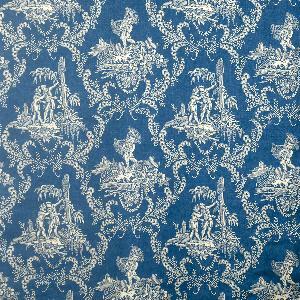 Hamlet'sTtoile, one of Faudree's fabric designs. 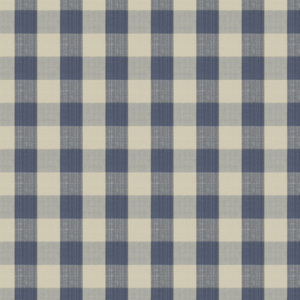 Biron Check fabric, another Faudree design. 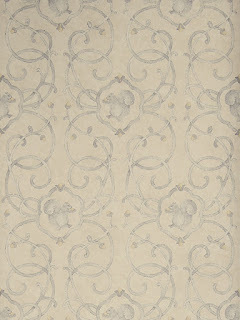 Petit Parc in Gris by Pierre Frey--comes in both fabric and wallpaper and Faudree has used them both at "The Roost". 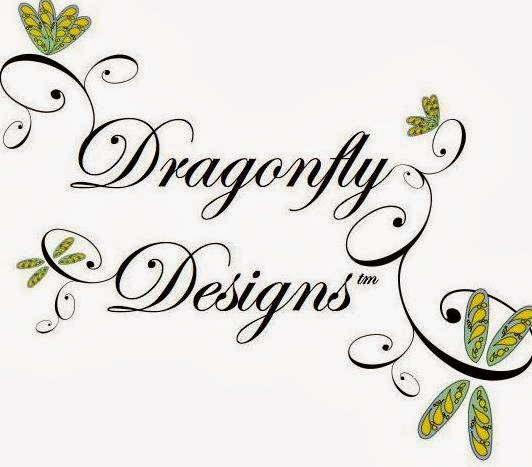 If you would like to order any of these fabrics or wallpapers, give us a call at (530) 583-6076 or email dragonflytahoe@att.net. 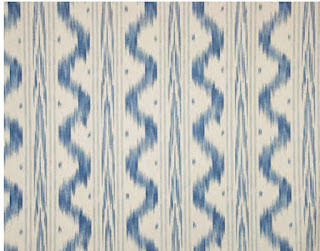 To view our favorite Faudree fabrics for mountain homes, see here.